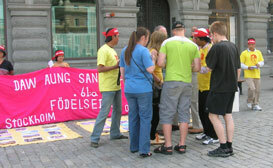 Swedish people, we gathered at the Folket Hus in Hallsberg city, gave out pamphlets and explained about our petition campaign. Two years ago the world watched in dismay as Myanmar's military junta brutally crushed the so-called Saffron Revolution. It was the only show of mass opposition to have occurred inside the country in almost 20 years. Now, that same junta is moving towards elections some time in 2010, but no one expects them to be either free or fair, based as they are on a constitution seemingly designed to ensure the survival of those in power. 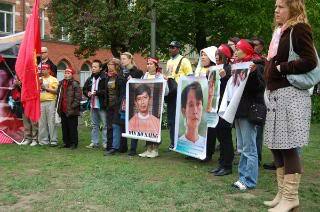 The 13th conference of FBE (Forum of Burmese In Europe) ended successfully last Sunday after a two-day 'heated' discussion and debate held at London South Bank University in London on 20-21 June, 2009. 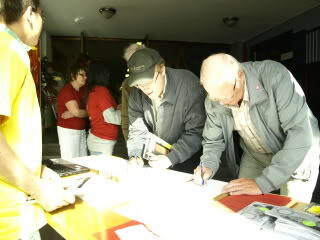 As the first step, we have organized to collect the first signatures for our campaign in Hallsberg city, Sweden. 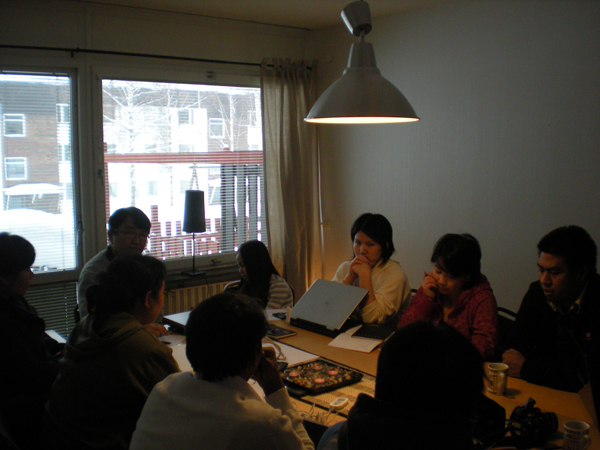 With the participation of local Swedish people, we gathered at the Folket Hus in Hallsberg city, gave out pamphlets and explained about our petition campaign. 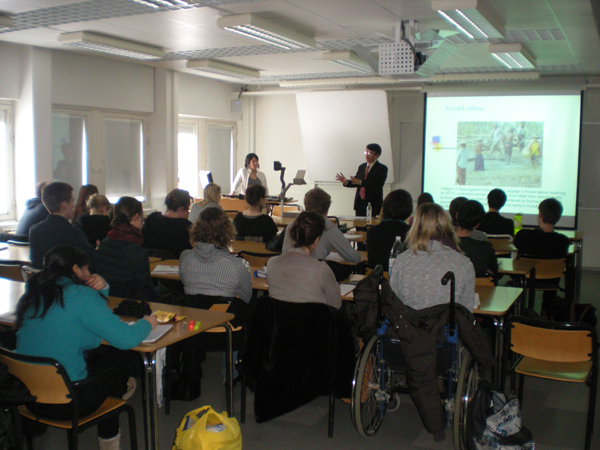 U Aung Htoo, the General Secretary of Burma Lawyers' Council, gave presentation about Burma to over 40 law students from Stockholm University, March 3, 2010. Myalay and Htay zayar from SBHRA attended and introduced with all the participants. The 14th conference of FBE (Forum of Burmese In Europe) ended successfully after a two-day 'heated' discussion and debate held in Frankfurt, Germany on 16-17 Jan, 2010. Svensk-burmesiska människorättsorganisationens (SBHRA) främsta mål är att skapa medvetenhet om Burmas tidigare och nuvarande situation, att underlätta integrationen i det nya samhället för burmeser i exil, samt att skapa ett nätverk mellan olika insatser som utförs av individer och organisationer över hela världen till stöd för Burma.SBHRA är främst aktivt i Sverige.